And she going to the fair. One of the treasures I borrowed in my youth from my local record library was the Topic LP The Russell Family of Doolin, County Clare. This featured recordings made by Neil Wayne and John Tams of the three brothers Micho (flute, whistle and vocals), Pakie (anglo-concertina) and Gussie (whistle). Their playing was delightful, but what stole the show was undoubtedly Micho’s singing of ‘St. Kevin of Glendalough‘, ‘The Poor Little Fisher Boy‘, ‘When Musheen Went to Bunnan’, the bizarre ‘The Roscrea Cows‘, and this little gem. Micho picked up this song from the singing of his father, Austin. This is, without a doubt, one of the most popular songs sung in Clare today. It was written by the poet, schoolteacher, and Gaelic scholar, Tomás Ó hAodha (1866 – 1935) of Miltown Malbay. It first appeared in a collection of his poems entitled ‘The Hills of Clare’, published circa 1922. In common with many singers Micho has compressed the original twelve verses into a more singable seven. The tune is ‘The Stack of Barley’. 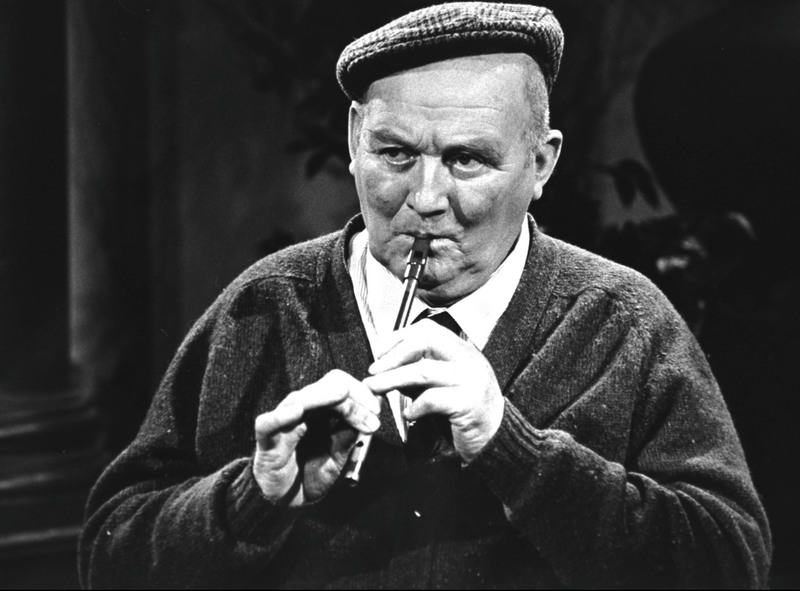 My friend Nick came across a two-verse parody of this song where “the crossest man in Clare” had become “the coarsest man in Clare” – and his daughter had, to judge by the lyrics, inherited his rough tongue.